Click the button below to add the Sunless Tanning - Light to Medium tones to your wish list. Sun-Kissed Skin in a Bottle - Get Your Glow On! Not too dark, not too light - just the right tone and color. This sunless tanner will quickly and easily get you that perfect color. Made right here in the USA with ingredients from around the world that no other sunless tanner has. All-natural moisturizers like Avocado, Black Currant, Borage, Oat Kernel, Argan, Camellia and so much more! These ingredients provide nutritive benefits to improve the look and feel of your skin while getting the color that you want. Plus, this will help hide those pesky imperfections as a gradual natural looking tan develops. Quick and Easy. No waiting to rinse off in a shower. Apply and Go. No artificial color or fragrance. Light to Medium color while moisturizing your skin like never before. Vitamin E, Pomegranate, and essentials of Sweet Orange and Ylang Ylang are loaded with anti-oxidants. Apply and Go! No rinsing off needed. Get dressed immediately. Continue to use until you have reached your desired level of tan, then as needed to maintain. After you have finished the application, allow a minimum of 8 hours or longer before taking a shower. Following the directions and others advice for application, my results were awesome! Not too dark, not orange, just a golden tan color. I bought this to test for winter black tie events that I want to have some color for, without using harmful tanning beds. Exfoliate, dry your skin off and I preferred using an old sock for application, avoiding adding much to the knee and elbow areas. I am not sure if the sock method is better than using your hand, but it made the smoothing process easy. I've been eyeing this self tanning product for awhile and finally decided to purchase even though it was a bit pricey. I can say that it is TOTALLY WORTH IT! It gave my fair skin a nice tan and you can tell the ingredients are supportive for your skin. It has a great smell and is not sticky like over the counter products. I highly recommend you try it. Non-greasy and absorbs quickly into your skin. No Mineral Oil, No Petrolatum, No Alcohol, No Fillers. Fast, deep absorption that improves elasticity. 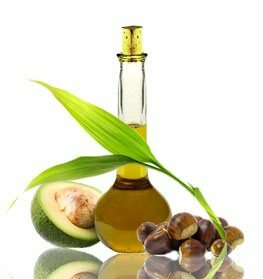 Avocado and Coconut Oil deeply penetrates skin to hydrate. Borage Seed Oil is used as a lightweight skin moisturizer to hydrate and soften skin. 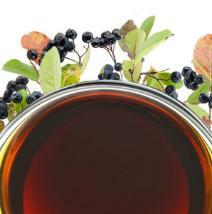 Black Currant Seed Oil has anti-inflammatory and moisturizing properties that help replenish skin. Borage Seed Oil promotes healthy skin regeneration. Apply to face and body as desired, as you would with a moisturizing lotion, avoiding the hair and hairline. For best results, cleanse and exfoliate skin and apply on dry skin. Use less product on elbows, knees, and heels to prevent tanning in these areas. Use gloves or wash hands and nails immediately with soap after application to avoid discoloration. Allow to dry completely before dressing. You will begin to see the development of color within 12 to 24 hours. To maintain or deepen to your desired shade of tan, reapply 1-2 times a week or continue to use once daily until you have reached your desired level of tan and maintain as needed. Purified Water (Aqua), Persea Gratissima (Avocado) Oil, Caprylic/Capric Triglyceride (Coconut Oil Fractionated), C12-15 Alkyl Benzoate, Cyclomethicone, Ribes Nigrum (Black Currant) Seed Oil, Borago officinalis (Borage) Seed Oil, Dihydroxyacetone, Avena Sativa (Oat) Kernel Oil, Juglans Regia (Walnut) Oil, Argania Spinosa (Argan) Nut Oil, Erythrulose, Camellia oleifera (Camellia) Seed Oil, PEG-150 Distearate, Cetearyl Alcohol, Polyquaternium-37, Corylus Avellana (Hazelnut) Oil, Aleurites Moluccana (Kukui) Seed Oil, Caprylhydroxamic Acid (and) Caprylyl Glycol (and) Glycerin, Punica Granatum (Pomegranate) Seed Oil, Sesamum Indicum (Sesame) Seed Oil, Citrus Sinensis (Sweet Orange) Essential Oil, Pelargoniun Graveolens (Geranium) Essential Oil, Cananga Odorata (Ylang Ylang) Flower Oil, Citric Acid, Tocopheryl Acetate (Vitamin E). I will use this year round. I have porcelain skin and I don't dare to be out in the sun for more than an hour. I burn instantly and will look like a human tomato! I have used countless self-tanners ranging from drugstore to department stores. Everything I've tried so far has made me either break out, turn orange, or looked very streaky/messy. I purchased this product as a last resort to be tan. I followed the directions on the bottle by washing and exfoliating my skin. I made sure to shave and moisturize my skin as well. Once I was dry, I applied the lotion all over my body and allowed that to dry as well. After it did, I went about my day by shopping, going to school and work. I cannot believe that this tanner made me tan! I got a nice golden tan ( Mila Kunis) as a reference. I am so in love already. I will reapply this once I see my color fading. Very good product. I have really pale skin and have tried so many self-tanners.I bought this product about a week ago and it arrived within two or three days (really fast!) Usually apply self-tanners in the morning or right before bed after a shower. I allow it to dry with my clothes on and some gloves to prevent staining. My skin looks so beautiful with a nice tan that isn't orange or streaky. I am fairly light but don't want to be too dark. I use 2 layers and have a pretty tan now. Make sure to use a sock or gloves to avoid staining on my hands. This lotion leaves my skin smooth and stunningly tanned after about 6 to 8 hours. I had no issues with streaks or patches and concentrated a little bit more on my knees and elbows. I got a nice touch of color without looking crazy. I truly love it! Omg! This lotion works good and has a light pleasant scent. My skin is a light beige tone. I love that this lotion has great ingredients and doesn't irritate my very sensitive skin. It's inevitable to exfoliate and moisturize the skin before self-tanning. I use it once to twice a week and apply it on my whole body. I wash my hands between applications, and I start from the bottom up. I use more on my knees, ankles, feet, and hands. You get the most subtle color with this product. It is perfect for anyone who wants color for a special event or trip. As much as I love tanning under the sun, I really wanted to find a safer alternative that didn't involve the chemicals and I'm so glad Just Nutritive makes sunless tanners now! All my girlfriends are jealous at how natural it looks on my skin and it's so crazy soft to the touch. Keep up the great work! To be honest I've never used a natural tanner before, but compared to drug store products the difference is great. No chemical smell, and my skin GLOWS. Gives just the right sun-kissed look. My friend recommended this product to me and I was kinda skeptical at first. When I applied it I just knew she was right because wow! Literally within a day I started developing color and my skin was soso smooth. Really astounded with the results. I've always joked I'm a certified tanning bed junkie, but I think this product has completely changed the game. I don't have to go out for that natural sun-kissed look anymore and I don't really have to apply much lotion after putting this on. I m a little disappointed, it seemed to take forever to dry. I didn’t apply heavily, very lightly in fact. May be ok for some, but not for me. Not much color 12 hours later so that’s a good thing. Just wished it dried quicker. I love that I didn’t wake up in the mornings and look like I slept in a tanning bed. It’s a natural sun kissed glow that I can build if I want to be darker. It does give good color and drys pretty fast but I thought it would be more of a moisturizer. But at least there isn't a chemical odor to it. Best self tanner I have ever used !! I have bought so many and was always disappointed this one is the Best !!! I love this product! I usually burn but I applied this the night before helping with our church carwash and I did not burn at all! It's amazing! The best I have used! I use self tanners religiously. I think I have tried more than 10 varieties. This is not sticky or stinky. The co!or is as close to a real tan as you can get. This is by far the best I have used. I have tried so many self tanners over the years in different price ranges and this is literally the only one that doesn't have that horrible self tanner stink to it. It does have an odor but its not a bad stink like all the others. I got the light to medium because I wasn't sure which to get. I might go for the darker one next time. I recommend this lotion for sure!!! Love the moisturizing quality and scent! This is a winner! Goes on super easy. I just wish it showed color faster. I really like the fresh scent and the color this gives me!! Very satisfied!! !